Like it or not, the local Lyme disease controversy refuses to lie down. Patients continue to ask their doctors if they could have it, and are not always satisfied with the answers they get. The argument has been going back and forth for several decades. Blow-by-blow accounts can be found elsewhere. Some of these have a polemic flavour, and don’t help advance the debate about whether or not we really do have classic Lyme disease in Australia. The majority of tick bites in Lyme disease endemic areas do not result in Lyme disease because the tick needs to be attached for more than a day before the bacteria can be transmitted. The larger adult ticks are more likely to be removed by then. That leaves the smaller stages in tick development, the nymphs. Particularly those in nooks and crannies where they can’t be seen as easily. 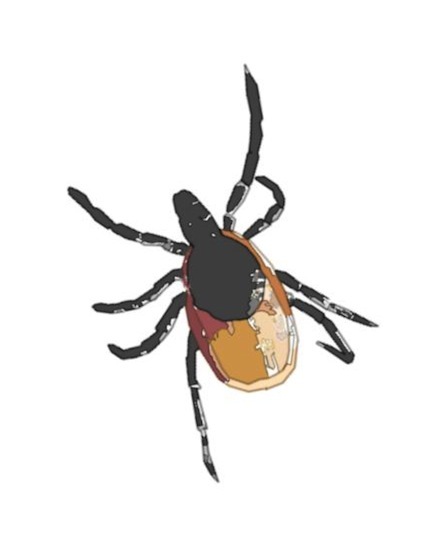 The dominant tick species in parts of America where Lyme disease is common is Ixodes scapularis (black legged deer tick), and in Western Europe is Ixodes ricinus. In the Eastern United States the disease carrying vector is Ixodes pacificus. None of these tick species are present in Australia. The mainstay of diagnosis is recognition of the clinical features, in the setting of a known tick bite. Laboratory tests can be used to confirm the initial clinical diagnosis, but these tests are only available in a limited number of reference centres. Antibody tests are prone to false positive results and need to be interpreted carefully. PCR (molecular) assays can be performed on skin biopsy material from EM lesions. The only PCR positive EM lesions to be Lyme disease so far in Australians have been associated with overseas travel. There is little doubt that occasional cases of imported Lyme disease occur following exposure to Ixodes species ticks in endemic regions overseas. A careful travel history is therefore an important part of the assessment of any patient with clinical features suggesting Lyme disease. None of the recognised tick vectors of Borrelia burgerdorferi are native to Australia. One Ixodes species (I. holocyclus) is common in a narrow strip along the Eastern coast of Australia. Borrelia burgerdorferi has so far not been detected in many thousands of ticks sampled and tested in New South Wales. If not Lyme disease, then what is it? This blog stands by the need for a high standard of evidence to (a) support and (b) refute claims that a specific microbe causes a specific illness. There is a lack of supporting evidence that hundreds of thousands of undiagnosed cases of Lyme disease have been missed in Australia. However, it is undeniably hard to find conclusive evidence that a tick-borne Borrelia infection does not cause infection in Australia. Moves to make the illness notifiable are clearly a step in the right direction. In reference to your section “Evidence for Lyme Disease in Australia” you may want to refer to this website http://www.lymeaustraliarecognitionandawareness.com for the most up to date information. We noted these sources. They appear to be connected with a campaign. As this site aims to remain independent from public campaigns, no matter how worthy, we cannot promote them. But in the interest of assisting robust professional debate, we are happy to provide the information in your post so that readers can make up their own mind.